This alarming infection rate equates to at least 840 HAIs every year for an average hospital performing 12,000 surgical procedures. The number one cause of HAIs is S. aureus, and 50% of S. aureus infections can be linked to bacteria present in known operating room (OR) bacterial reservoirs at the time of surgery. This problem is further exacerbated by antibiotic treatment when antibiotics kill good bacteria and leave antibiotic resistant bacteria to thrive, colonize on patient skin surfaces, and to spread to the surrounding patient environment, healthcare provider hands, and to other patients undergoing health care in the same arena. supporting ongoing CMS penalties (https://khn.org/news/medicare-penalizes-group-of-751-hospitals-for-patient-injuries/) for hospital poor performance. RDB Bioinformatics’s[ mission is to work with patients, healthcare providers, acute care settings, and the community to identify these gaps in order that we can together execute on creating a safer OR environment. We offer optimized bacterial surveillance through use of an innovative software platform, OR PathTrac, in the preoperative, intraoperative, and postoperative environments to reduce patient, hospital, and community exposure to high-risk bacteria. on OR bacterial transmission within and between patients. This is achieved through use of OR PathTrac, the only prospective, dynamic, multilevel, bacterial surveillance system on the market today. This system is specifically designed to optimize basic preventive measures in targeting the most dangerous bacteria today, including Enterococcus, S. aureus, Klebsiella, Acinetobacter, Pseudomonas, and Enterobacter spp. (ESKAPE). 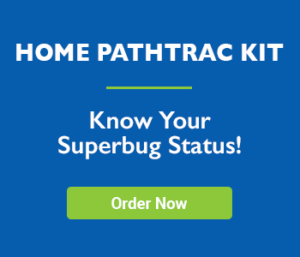 OR PathTrac provides an evidence-based guidance system for bacterial tracking that optimizes routine hand hygiene, catheter and syringe care, environmental cleaning, and patient decolonization practices. Use of advanced technologies within a proprietary platform allows individual and group level feedback for improvement. RDB offers a unique, comprehensive decolonization program that can reduce the odds of infection by approximately 50%. RDB identifies and reports patient Enterococcus, S. aureus, Klebsiella, Acinetobacter, Pseudomonas, and Enterobacter (ESKAPE) colonization status directly to the patient for the purpose of guiding evidence-based decolonization strategies prior to surgery. After surgery, RDB will serve patients and the community to limit spread of bacterial pathogens acquired during care back to the home. In today’s operating rooms, preoperative decolonization, a highly effective, cost-effective preventive measure to reduce patient risk of infection is not utilized for all patients undergoing surgery. Bacterial surveillance to optimize decolonization, hand hygiene, vascular care, and environmental cleaning is not universally leveraged to protect patients from bacterial transmission in the OR. Preoperative patient culture status is not utilized for all patients to ensure that effective prophylactic antibiotics are chosen for infusion prior to the surgical incision. RDB Bioinformatics offers an advanced solution to this problem. Total bacterial counts in operating rooms drive the development of surgical site infections. Operating room bacterial traffic is fueled by efficacy of provider hand hygiene, both routine cleaning and between-case environmental cleaning, and patient decolonization efforts that lead to bacterial injection through intravascular devices and subsequent infection development. Rather than reporting on infections when the opportunity has passed, we report on the transmission, and focus on improvement in key areas at the source of the problem. We are your partner in improvement efforts. Working together to improve processes. Have a key problem area you want to address? We can work together to address specific issues. From the patient, through the OR, and on to the recovery ward. Our system can track bacterial transmissions through the entire patient experience. 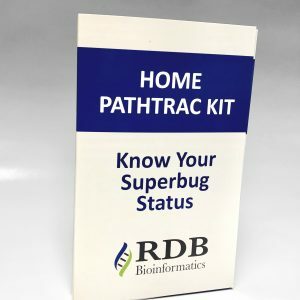 RDB Bioinformatics is focused on helping patients, hospitals, and the medical community to work together to address HAIs and increasing bacterial resistance. Our primary goals are to address the goals put forth by the Centers for Disease Control including prevention of infections for patients undergoing surgery, prevention of bacterial spread between patients, and improving antibiotic stewardship. Our overarching goal is to maximize patient safety today and for the future, preventing high risk OR bacterial transmission and infection development. Randy Loftus, MD is an Associate Professor of Anesthesiology and Critical Care Medicine. Darrin Loftus has more than 20 years of business management experience in start-up, product design and development, sales, marketing and operations. Brandon Gordon brings almost 20 years of IT operations experience to RDB’s leadership team and has been a trusted advisor to RDB in the areas of IT design, implementation, and other critical areas of the operation. Bryan S. Mick is the President of Mick Law P.C. in Omaha, Nebraska, and a provider of independent due diligence legal services for various broker-dealers and registered investment advisors. Dr. Randy Loftus published a white paper specifically for the purpose of discussing the details of the RDB Pathtrac system, both the problem and the solution. Download the white paper to get full details of the program. Contact us today to start improving, and quantifying your improvement efforts today. We can schedule a discussion with your team and ours. If want your story told so others can avoid the pain you experienced, please submit it. From time to time, we will choose appropriate stories to highlight on this site, or on our Facebook page. I give permission to use my story. PLEASE NOTE: By submitting this form, you are irrevocably giving permission to RDB Bioinformatics’ officers, agents, employees, successors, licensees, and assignees to use this text for the use of online and print. This is completely voluntary and up to you. When do I use the kit? At least 10 days prior to surgery, or otherwise used as needed. Why would you worry about bacteria before surgery? Don’t doctors take care of that? Doctors do take care to keep the environment and hands clean, but even in a controlled area like the operating room some things are out of their control. Providers leave the operating room and return during surgery, environmental cleaning, and hand hygiene are the most common areas that need to be addressed. Our goal is to protect the patient regardless of the state of the operating room. What bacteria are important? Why? S. aureus is the most common superbug. Along with the related MRSA (Methicillin-resistant Staphylococcus aureus) are transmitted from patient to patient and do cause a high percentage of infections related to surgery. What is the difference between MRSA and staph? MRSA is a subset of S. aureus that is resistant to Methicillin. It is more virulent than basic staph. How do they cause infection during surgery? Patients are most vulnerable during surgery. When the skin is punctured and open, bacteria on hands, environment, and even air can enter an otherwise sterile bloodstream and cause serious infections. How to doctors know what antibiotic to give before surgery? That is what we are helping with. Doctors give antibiotic based on common historic data, rather than current known data specific to your specific bacteria. Bacteria causes infection, antibiotic kills bacteria. Prescribing the best antibiotic is extremely important. How do they know whether or not I need to get rid of my bacteria, and whether or not I did? Some bacteria is less prone to spread, and may not be as important to address. Others are more virulent, and more easily spread, and more commonly lead to infection. Those are the ones that are most important. The kit includes an at-home collection system that you return to our lab. We process those samples and give you a fine report on the findings. Our team of physicians will work with your surgeon or primary care doctor to determine the best course of action for the best outcome. We are your advocate and work for you . 2011 Invited member of the Technical Expert Panel (TEP) for a project sponsored by AHRQ designed to conduct a systematic review of preoperative antibiotic prophylaxis and to design a new protocol based on that systematic review. 2015 Lead and cover article in Anesthesia and Analgesia; Issue dedicated to body of work.